From 1975 on Moore repeatedly placed subsidiary Gurdjieffian material in literary and scholastic journals: letters, essays, book reviews, apologetics of Gurdjieff the man and his teaching, critiques of appropriations and distortions of his ideas. Moore’s compositions were preponderantly pro-active: exceptionally, however, he assumed an adversarial role vis-a-vis authors whose books advanced misleading assertions and paradigms. These notably included: Idries Shah [aka ‘Rafael Lefort’] (The Teachers of Gurdjieff, 1966); Peter Washington (Madame Blavatsky’s Baboon, 1993); and Anthony Storr (Feet of Clay: The Power and Charisma of Gurus, 1996). For Moore’s portfolio of secondary writings see J. Walter Driscoll’s Website ‘Gurdjieff Reading Guide’, where all significant pieces are cited, some excerpted, and others reprised in full: a number of Moore’s book reviews have been posted on Amazon. Listed below are four representative items. Gurdjieff: a biographer digresses [unpublished but posted on the Gurdjieff: a Reading Guide website]. An extended meditation on Gurdjieff’s ‘unknowability’, pivoting on Moore’s personal contact with the elderly Jessie Dwight Orage in the early 1980s. 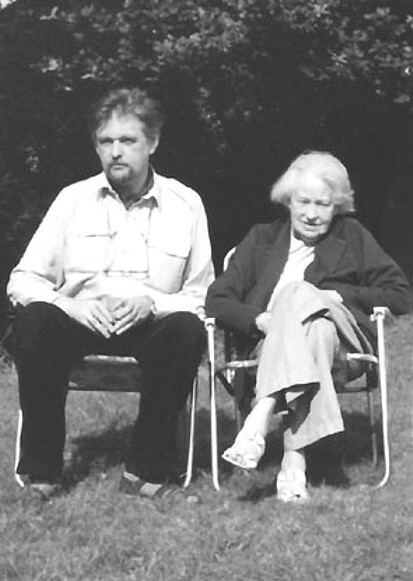 Henriette H. Lannes (1899-1980) [Gurdjieff International Review, Fall 1998, Vol 11, No.1] A deeply appreciative cameo of Moore’s teacher Henriette Lannes, celebrating her achievements within The Gurdjieff Society between 1950 and 1978. It remains the only informed encapsulation of her ministry in London. Its historical value is enhanced by its discreet platforming of differences which, in the 1970s, arose between Mme Lannes and Mme de Salzmann about the optimum progression of Gurdjieff’s legacy. These differences – not of degree but of character – arguably conduced to today’s bifurcation into so-called ‘Old Work’ and ‘New Work’ dispensations globally.